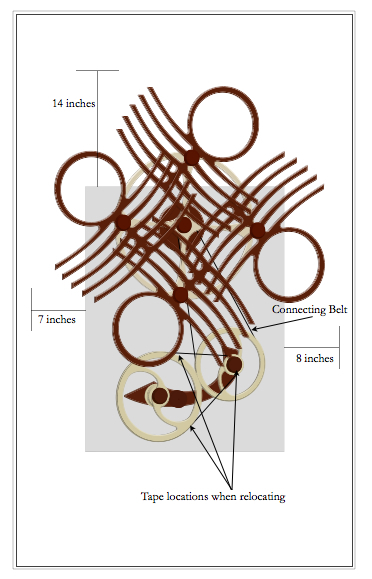 I ship my sculptures all around the world and I work hard to create an install process that is easy to implement. The sculpture, for the most part, arrives totally assembled. (Occasionally you might have to slide a wheel in place). 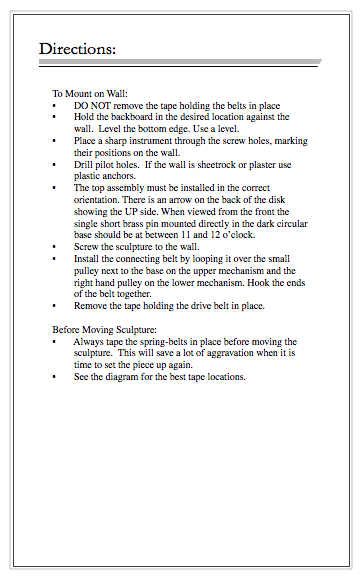 Instructions for installation, screws and anchors, and a positioning template (when required) are included. Below is a sample set of instructions for Quandary. You can download and view the instructions for almost all sculptures on the Sculpture Directions page here. Tools required for installation are a drill, screwdriver and level.